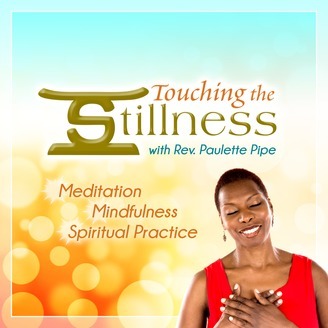 Touching the Stillness Radio Program Touching the Stillness, with Rev. Paulette Pipe, is unlike anything you may have experienced before. Tune in each week to hear a compelling, soul-stirring meditation that takes you deep but leaves you jazzed. Hear Rev. Paulette raise the roof as she partners in prayer with listeners through the spoken word. You'll be glad you did ... and meditation and prayer may take on a whole new meaning in your life! Join our host for her annual Touching the Stillness Silent Retreat at Unity Village on October 4-7, 2018. Spaces are premium and sell out fast, so register early to avoid disappointment. This program is sponsored by Touching the Stillness Ministries. Become a fan of Touching the Stillness on Facebook. The ideas and opinions expressed on this program do not necessarily reflect the teachings of Unity. Unity respects a wide range of spiritual thoughts and beliefs, as reflected in the diverse range of subjects presented on Unity Online Radio. Beloved Touching the Stillness host Rev. Paulette Pipe bids farewell to Unity Online Radio. Before she heads into the mystery of what's next, she assures listeners it's more like a pause than a period at the end of her broadcast career.